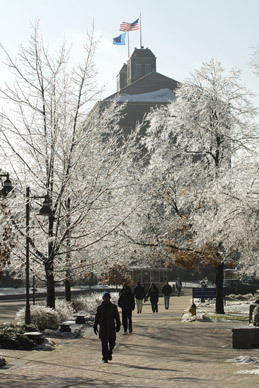 Construction began in March 1965 on the $2.2 million structure, designed by State Architect James Canole and T.R. Griest of Topeka. It is 206 by 67 feet and has eight stories; its 96,000 square feet of space is more than twice that of the beloved 1872 building whose name it retained, which was located about 50 feet west. 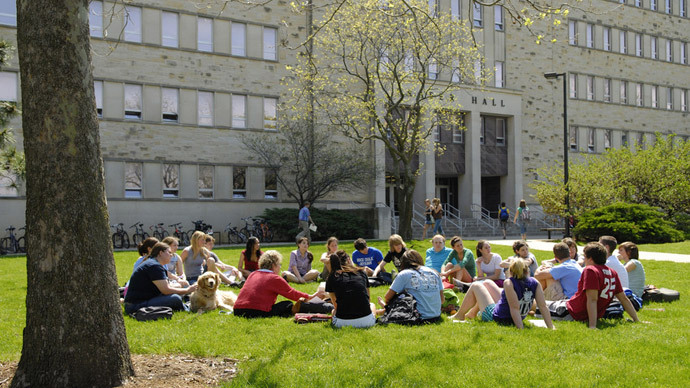 It houses the anthropology, sociology and psychology departments; the clinical, experimental and social psychology and somatopsychology rehabilitation divisions; the Psychological Clinic; classrooms; a reading room; and faculty, staff and administrative offices. 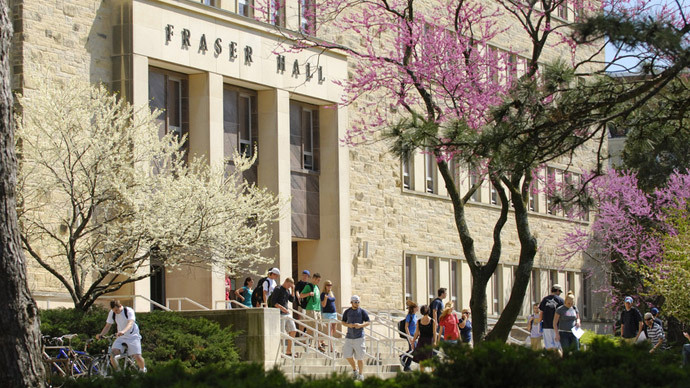 It replaced the KU landmark built in 1872 and named in 1877 the University Building, then in 1897 Fraser Hall in honor of John Fraser, second chancellor (1867-74). 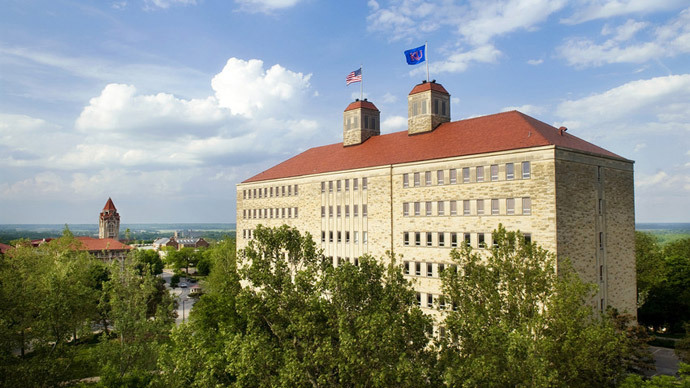 That limestone building with its signature towers and red roof was designed by John G. Haskell and housed virtually all university departments, administrative offices, a chapel/theater, lecture halls, classrooms and, at various times in its basement and attic, gymnasiums. However, within 10 years of its opening its foundations and structural soundness were causing concerns, and by the early 1960s these had become irreparably weakened and unstable. The walls had settled and cracked badly, leaks were rampant, and the ventilation and electrical systems were hopelessly outdated. 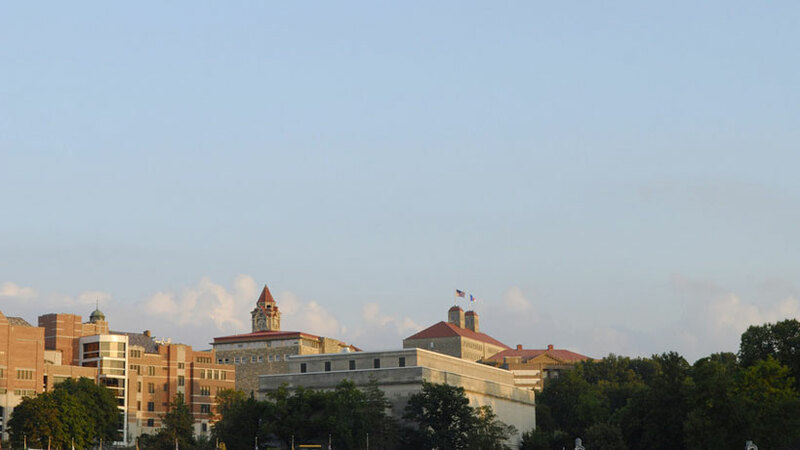 In 1962 the regents, urged by Chancellor W. Clarke Wescoe, authorized Fraser’s replacement. The design of the new hall, to be built about 50 feet east and slightly north of the original site and retaining versions of the old towers, attempted “to avoid current clichés and experimental construction” and to “express a quiet dignity and cleanness of line,” the architects stated in March 1965. 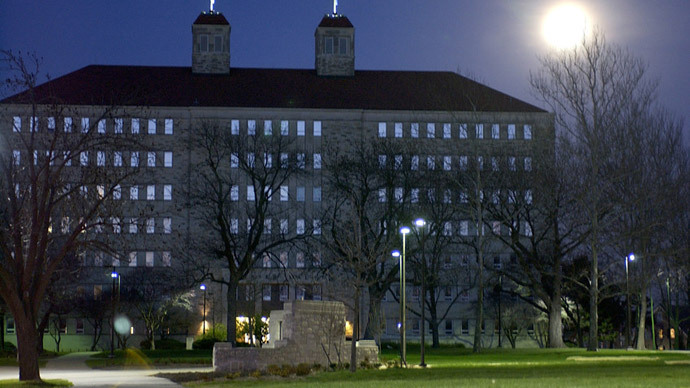 Instead, it caused howls of anguish from faculty, students, alumni, other architects and state officials that continued after Old Fraser’s razing in August 1965. 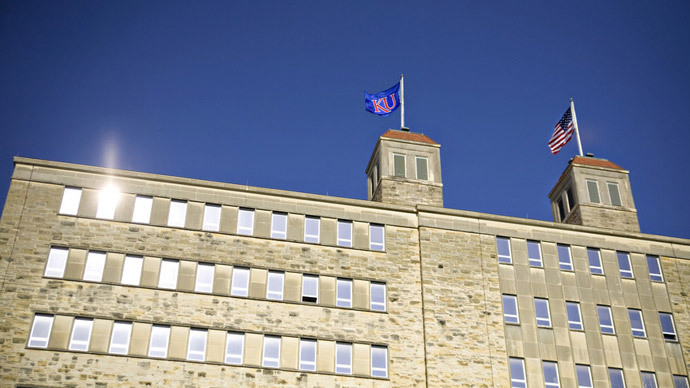 Architectural details such as doors, railings, balusters and other pieces were salvaged and have been used in the Kansas Union, the Adams Alumni Center and other campus structures.